This book will teach you all the basics you need to compute, program and create plots with Scilab. Best practices certified by Scilab Enterprises ! Print version also available on Barnes&Noble, Amazon US or UK and other main online bookshops ! This book provides a comprehensive, hands-on introduction to the powerful computing environment of Scilab. Scilab has greatly changed since 2010, consequently a large portion of the existing documentation is now obsolete. This book is based on the most recent version of Scilab (5.5) and we have put a great deal of care into communicating the best practices relevant to the current software. This book will teach you all the basic Scilab concepts you need for computing, analyzing and visualizing data, for developing algorithms, and creating models. 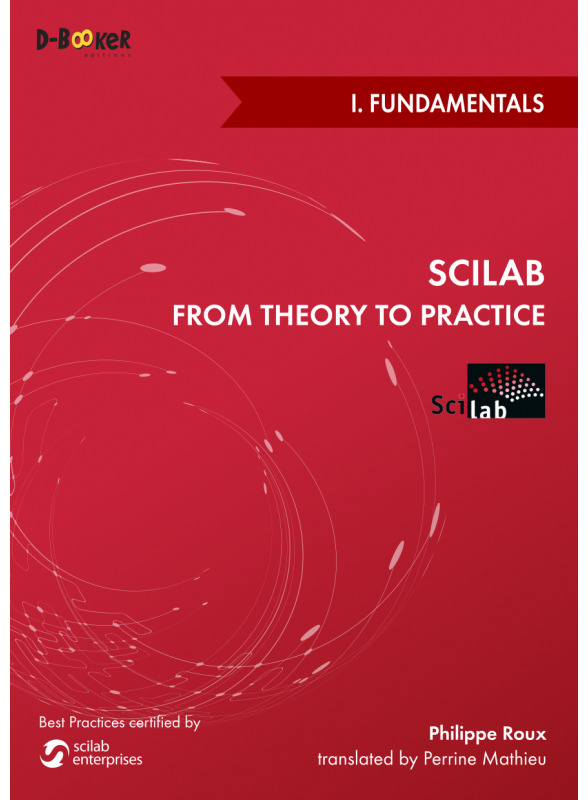 Based on the latest versions of Scilab, it focuses on the most recent recommended practices. It offers a lot of advice or words of caution to help you take full advantage of Scilab's capabilities and to create your own projects efficiently. Best practices have been certified by Dr. Claude Gomez, co-founder and advisor of Scilab Enterprises. After performing a quick overview of the software, three parts will successively deal with computing, programming and creating plots. The first one shows you how to perform and optimize all the mathematical calculations that an engineer may come across. The second one examines how to go beyond the simple calculations and study complex systems with scripting and interface building. The last one gives you a thorough description of Scilab's numerous graphics capabilities. This book is aimed at an audience of new users as well as at people familiar with Scilab who wish to update or build on their current knowledge. It assumes the reader feels comfortable using a computer and possesses a basic knowledge of what computer programming is. Some technical notions as well as physics or mathematics knowledge may be required in some sections. Even if you have mastered Scilab, you may use this book as a quick reference. The book is organized in relatively independent modules, which means you may acquire only the part you need as an e-book. Be aware that you cannot take full advantage of Scilab's graphics capabilities if you do not have a basic knowledge of its calculating or programming tools. The sequence of the parts is important for beginners. This first part aims to help you set up and get a grasp of the Scilab work environment. This part shows you how to program in Scilab Language in order to perform complex calculations and simulations. Find here the GIF animations for the book. Find here the videos for the book. This Gallery is aimed at readers of the black & white printed version, so that they can see in color the most important images taken from the part of the book called Creating Plots.